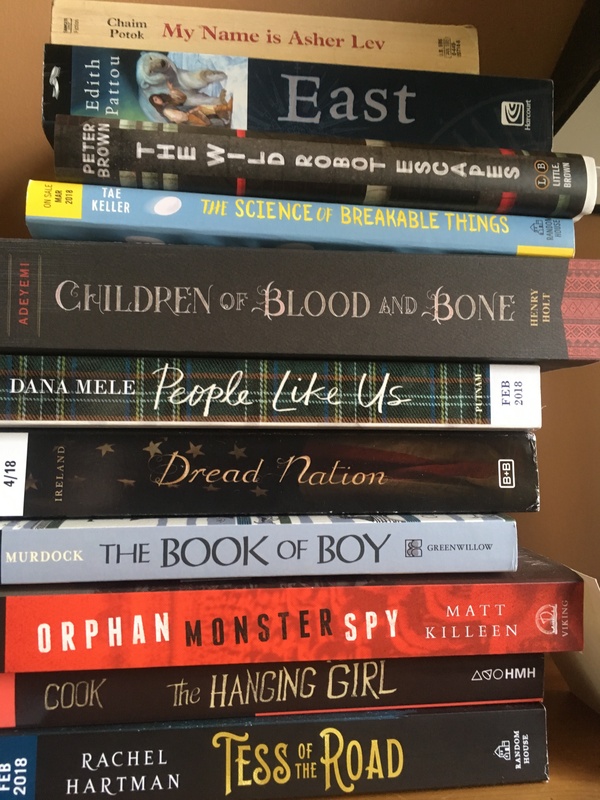 I am reading SO much and yet my TBR pile looks pretty much exactly the same as last month… I keep them there to remind me that someday I will get to read what I want to read (not that I’m minding reading what I am reading!) again. On the upside, spring break is this week. Should I read what I want, or read ahead?? My to-read stacks keep growing too. It’s just too easy to order books online!